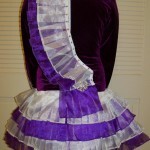 Purple velvet bodice with white embroidery. Four tiers of sheer pleats on the skirt. Covered with Swarovski crystals and completely lined. Also, has pleated cape. 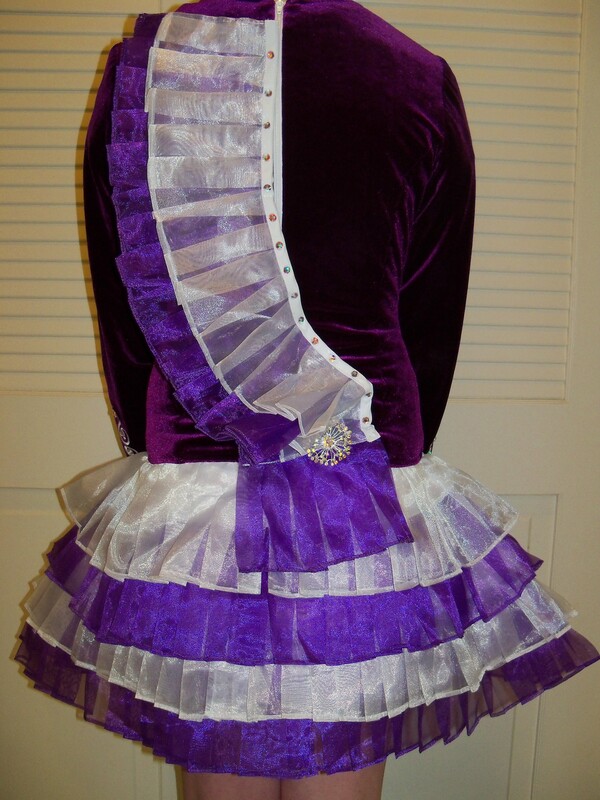 Comes with matching purple headband and white bloomers. Only worn 4 times. Asking Price: $US775. Shipping costs are included for my own country, overseas shipping is extra. Will accept returns and refund the cost of the dress, buyer to pay all shipping costs.